‘Fake dossier’: US Justice Department official warned FBI of Trump-Russia dossier’s bias | We Seek the Truth! Recently-released testimony from a US Justice Department official sheds new light on the Steele Dossier. 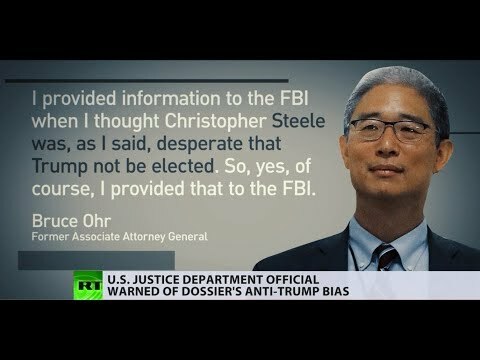 Bruce Ohr says he warned the FBI that it was likely “biased” against the US President. Just another Saturday in Paris?